I’m suspicious of such grand sweeping statements, but I like Beaujolais so was going to buy and drink it no matter what anyone said. I’ve managed to have two bottles so far, and while I’m not going to generalize from that small sample size to an entire vintage or appellation, I will say that if other Beaujolais are of the same quality, then the 2009 vintage is, indeed, an exceptional one. Note that the two bottles I drank were Beaujolais cru, not basic Beaujolais or Beaujolais villages. The first one is from Kermit Lynch, the 2009 Nicole Chanrion Côte-de-Brouilly (about $22). I found this one to be more similar to other vintages of Beaujolais I’ve had, still very light bodied and full of fruit (albeit dark fruit). However, it had a substantial amount of tannin, much more than I’m used to for Beaujolais cru. 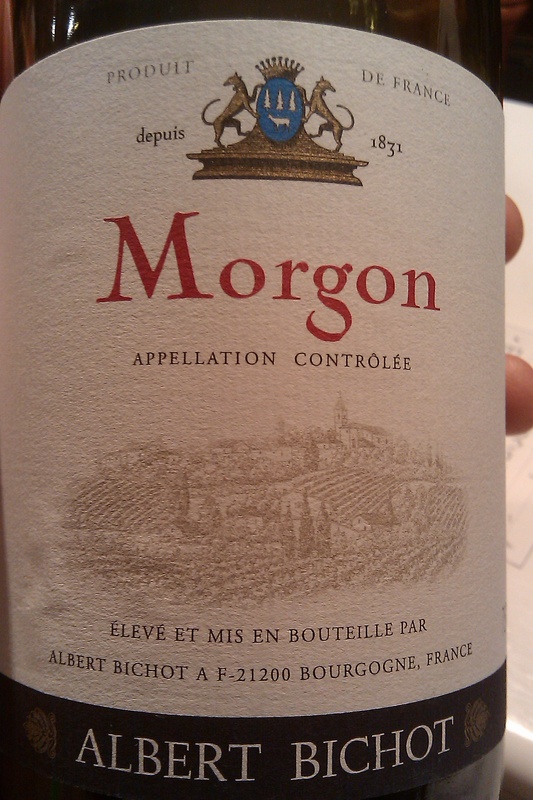 I preferred the second one much more: the 2009 Albert Bichot Morgon (about $20). I purchased a bottle from my friend Jeremy at Potenza for $12 and I am kicking myself for not buying much more. I had this a few nights ago and I was blown away by its concentration and elegance. The nose was full of blackberry, and simply exploded on the palate with sweet, ripe fruit and stone. It was almost jammy but an absolute joy to drink. I can imagine that Beaujolais purists might not have liked this because it almost did not resemble a Beaujolais at all: it was like a blackberry cobbler or something. But this would be the perfect wine to convert “Boo-juice” haters to lovers, and that would be a very good thing.